If you’re a fan of Reese’s and March Madness, get FREE Reese’s candy when you head over to their Facebook page to redeem a coupon for this tasty freebie (up to 2.5 oz or $2)! 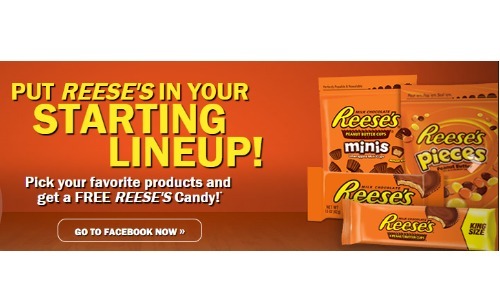 Just put your favorite Reese’s candies in a “lineup” and enter your information to get your coupon in the mail. Allow 4-6 weeks for delivery. What is your favorite Reese’s candy?